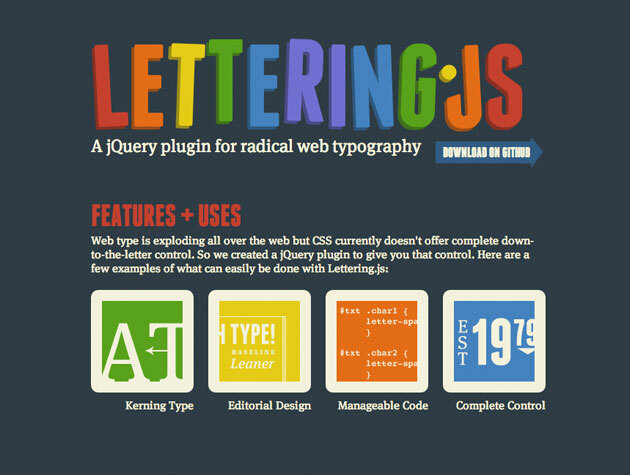 A jQuery plugin for radical web typography. Web type is exploding all over the web but CSS currently doesn’t offer complete down-to-the-letter control. So we created a jQuery plugin to give you that control.